Derreb says it has submitted a revised planning application, and is holding two meetings to exhibit what it terms the ‘final plans’ at St Michael & All Angels Church Hall from 6pm to 9pm on 1 and 4 February. Planning laws in this country are a joke. It is a battle of professionals against amateurs. They are designed to allow large developers to bully local councils with lawsuits, and allow repeated re-applications, in such away that the developers have very little to lose, and small groups cannot win. Environmental Statement from Derreb, including some really brilliant suggestions, along the lines of “replacing this field with housing will increase the amount of wildlife in the field”, and that the “land is under-utilised”. 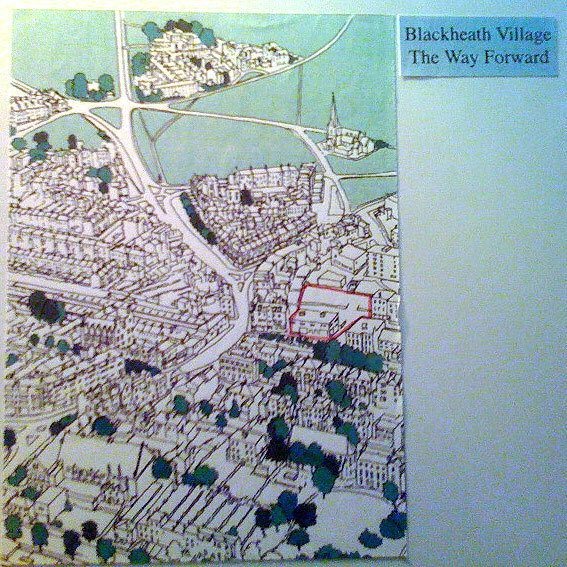 Older post by Blackheath Society about the plans. Following the fuss on the previous post about the plans to develop the car park behind the library, I thought I’d try and take a look at the proposals. Four times I’ve tried to get into the Blackheath Halls, and every single time they were closed! I’ve finally managed, and thought I’d put the photos and captions up here, so that more people can see them. They don’t appear to be on the Blackheath Society’s website, which is unfortunate, as it seems to have led some commenters to suspect a “stitch up”. I’m putting the photos up here, as I think they have public benefit. If the copyright holders want them removed, I will take them down. The proposals seem to have many good points, but it is such a shame that they aren’t pushing ahead for the original plan – to cover a large proportion of the railway next to the chip shop and turn it into a large, pedestrian only space. It would have been brilliant. I can understand the concerns that have been raised about new buildings – the site is “underused”, as they describe it (I’m still not sure I agree with that concept – the trains certainly aren’t “underused” in the mornings – increasing population density has many knock-on effects). 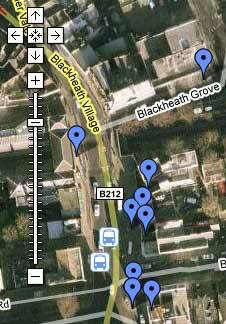 They’ve asked for comments on the proposals – so please do give them, firstly to their email address blackheath.soc@lineone.net and also here if you have time to do both. 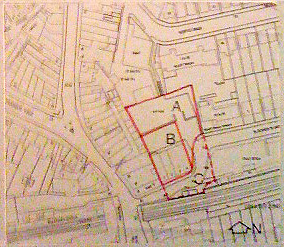 If anyone knows anything about the area (B) “owned by a family trust”, I’d be interested – it seems a very discreet way of writing about the ownership of the land. The site where Blackheath Village Library now stands was from 1863 until 1845 occupied by a much larger building – the 1,000 seat Methodist church with 120ft tower and a Sunday school to the north. In 1945 a WW2 bomb destroyed the church and many surrounding buildings. 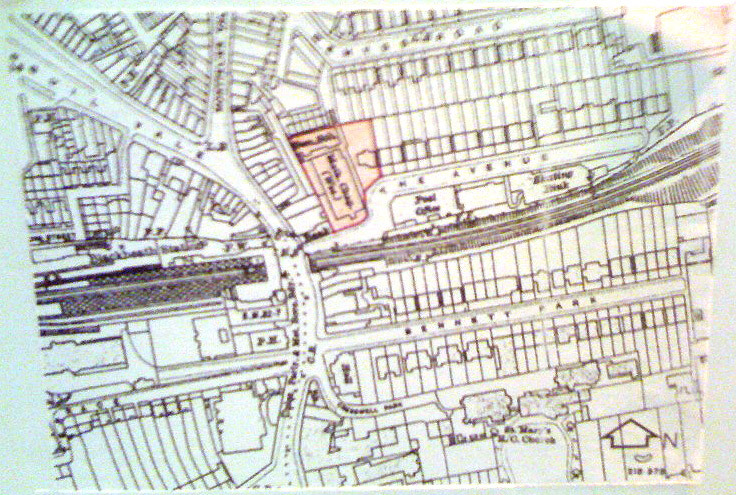 Ordnance Survey plan of about 1920 showing the Methodist church and Sunday school. In 1961 the present “library block” filled the gap, but from several points of view filled it unsatisfactorily. At two storeys, it is dwarfed by the neighbouring Barclays Bank, stylistically it is weak and unappealing. 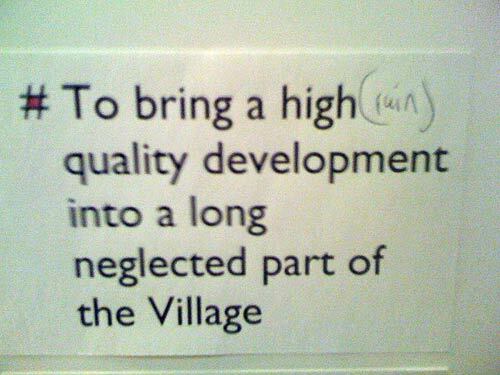 In development terms, the building and the private and public car parks behind it represent a gross under-use of a key site in the heart of the Village. To the north and east of the site, houses which had been damaged beyond repair at the western ends of Wemyss Road, and Blackheath Grove were replaced by five and four storey blocks of flats in the 1950s. These were joined in the 1990s by a four storey block “The Point”, with basement car parking on the site of the former Express Dairy bottling plant. 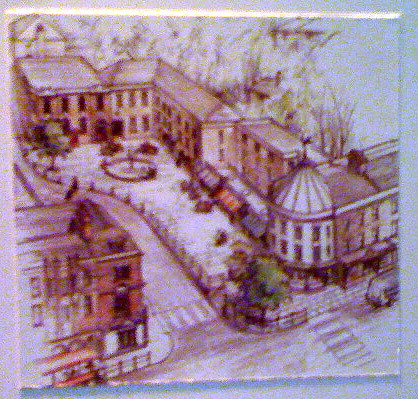 The idea of a “piazza” in the heart of Blackheath Village sprang from public consultation on the Blackheath Society’s 2001 proposals for improving the Village. Our initial ideas were ambitious: a huge raft over the railway stretching from the bridge to the post office, paid for by accompanying development. But the amount of development needed to pay for such a raft would have dwarfed existing buildings. What we are now suggesting – our “Plan B” – is more modest but in many ways better. It demolishes the present library block and substitutes a new development, set further back and partly on the site of the existing public car park. It would be taller than the existing building but comparable in height to its neighbours Barclays Bank and the Grove House flats. 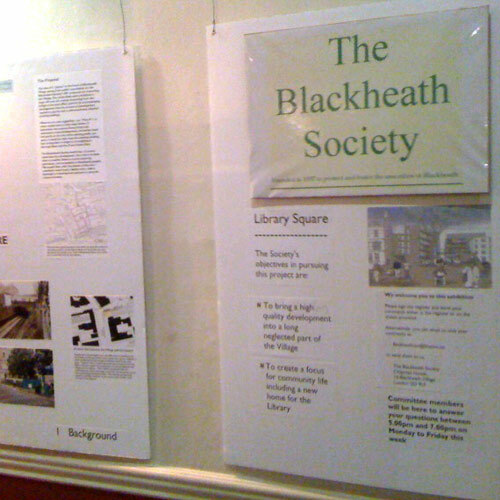 The Blackheath Society would not, of course, undertake the development. Our role is to show what is possible, likely to receive planning permission, and acceptable to Blackheath people. We would then, with the owners of the site – Lewisham Council and a family trust – seek a developer or development partner to carry the scheme forward. The current proposal focuses on the public cark park (A) owned by Lewisham council, and the library block and its private car park (B) owned by a family trust. 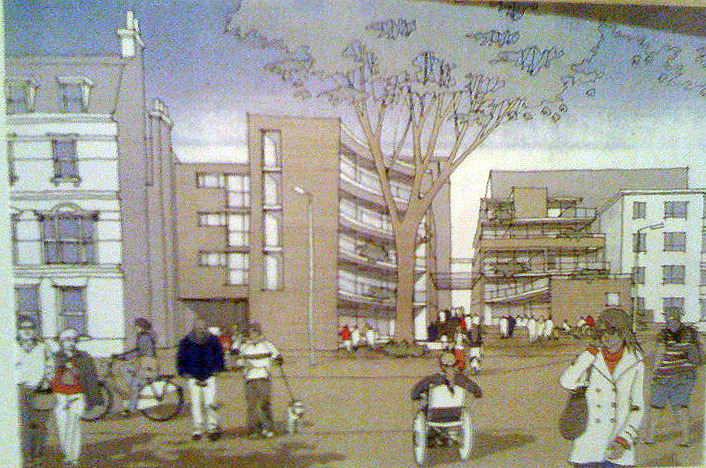 Part of Blackheath Grove (C) would be incorporated into the new square. Despite the acknowledged costs and difficulties of building over the railway cutting, we believe that a good case can be made for a small, prefabricated, lightweight pedestrian deck by the chip shop. Together with a ramped footpath down towards the Post Office, the deck would ease pedestrian movement between the Village and the Square. The could be combined with the redevelopment of the chip shop to provide a three-storey (unreadable - #### ###) building fronting the deck. The existing parapet wall would be partially removed to give access and a clearer view through to the square. Initial ideas looked at a wider area including the yard to the north and the railway cutting to the south. The illustration shows how buildings and a deck over the railway could have looked. Photo showing the railway area, part of which would be covered. Where is the post office?! to pay for such a raft would have dwarfed existing buildings. Lewisham Council and a family trust – seek a developer or development partner to carry the scheme forward. 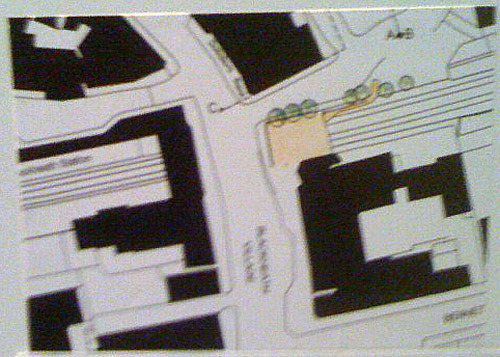 illustration shows how buildings and a deck over the railway could have looked. the church and many surrounding buildings. storeys, it is dwarfed by the neighbouring Barclays Bank, stylistically it is weak and unappealing. key site in the heart of the Village. 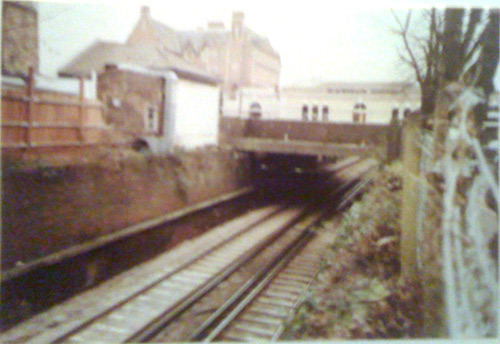 This is a photo of Blackheath station. Imagine if you walked down to the platform, as you do every morning, and saw this…. It says Blackheath, but something isn’t quite right. You’ve stepped through the worm-hole that drops you through the planet, and down into The Other Blackheath. Detail from a photo snapped by Flickr user Chris huh and used by permission. Here’s a little insight for you.. If your family were all born in the UK, there’s a fairly good chance that you’ll never get to go to one of these. 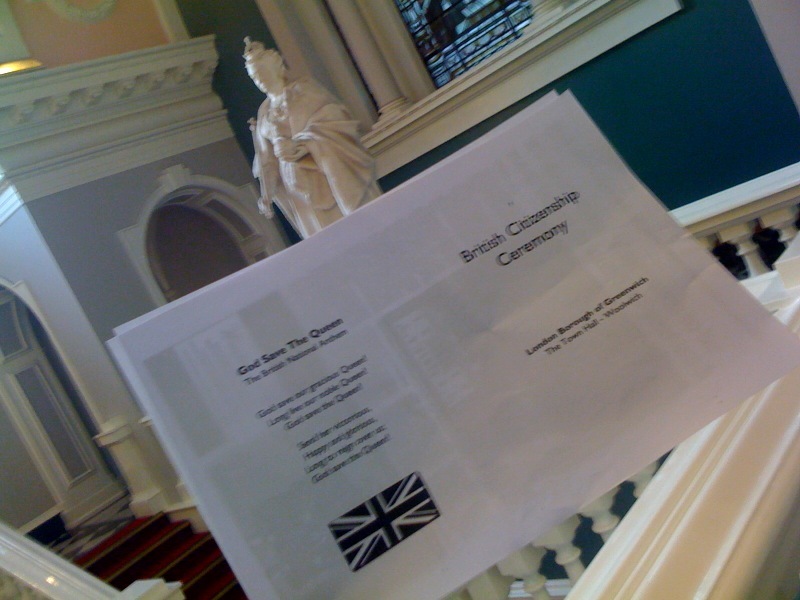 Roll up for the Blackheath Bugle’s review of the glorious, New Labour-inspired Citizenship Ceremony! Actually, I shouldn’t be too cynical about it. On the whole it was a really good experience. Mrs Bugle is now a fully paid-up (and bloody hell, do I mean paid up… about £2000 all considered) citizen of Her Maj’s United Kingdom. So, thanks to PlanningAlerts.com we can see that the Strangest and Best DVD shop in the world is to become The White Stuff – here’s the planning permission PDF. A shop (and I quote the Financial Times): “…aimed at trendy working mothers”. Bad news for people who like films… And probably very bad news for Sisters and Daughters, who are in a similar vein. In fact, so are half the clothes shops in the area, really… According to an article in the Guardian, The White Stuff is “a lifestyle brand“. Yawn. The Google Streetview above shows the branch in Lordship Lane, SE22. Blackheath pubs open til 4am? Lewisham Council are about to reconsider the rules around late licenses for bars in Blackheath. This is carried out through a piece jargon known as the “Cumulative Impact Zone”. 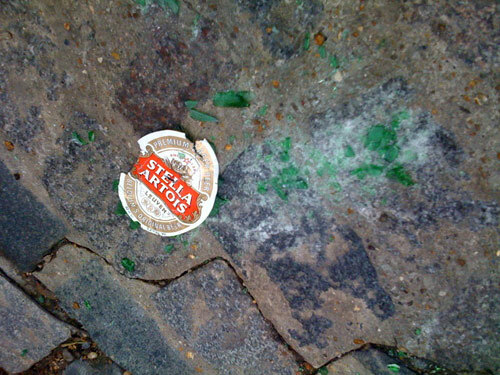 The long and short of it is this: if you like the fact that there is less vomit, fewer broken bottles, windows, and hearts on a Saturday morning in Blackheath, there’s a good chance that it is down to this piece of legislation. It makes it harder for licensed premises to request later licenses. Let’s face it – if you want to go out on a late night bender, Soho isn’t that far away, and you can get a night bus back to Blackheath. But, according to a recent email from the Blackheath Society, we need to send emails to the council, telling them to keep the “Cumulative Impact Zone” (couldn’t they have found a catchier name?). Dear Lewisham Council. Please maintain the Cumulative Impact Zone in Blackheath As a resident, I believe that it has noticeably improved the lives of people in the area. I think that there is less crime, disorder, and public nuisance late at night as a result of the zone. 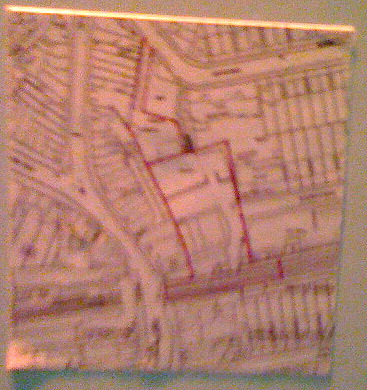 There’s more here from the Blackheath Village Residents Association, but the only relevant page I could find on the council’s website about this is here (which is where the zone map, shown below, came from). A page from the Society’s original request is here, but there’s nothing else about it on their site at the moment. We wish to draw your attention to this subject again, in view of what we see as the importance of the CIZ in limiting the impact of late night noise and nuisance associated with licensed premises in Blackheath. The position was explained in our December Newsletter. Our discussions with Lewisham’s Licensing Department have made it clear that there can be no certainty that the CIZ will continue in force following the forthcoming review of Lewisham’s Licensing Policy. However, its continuation will be more likely if representations are received from residents and organisations. 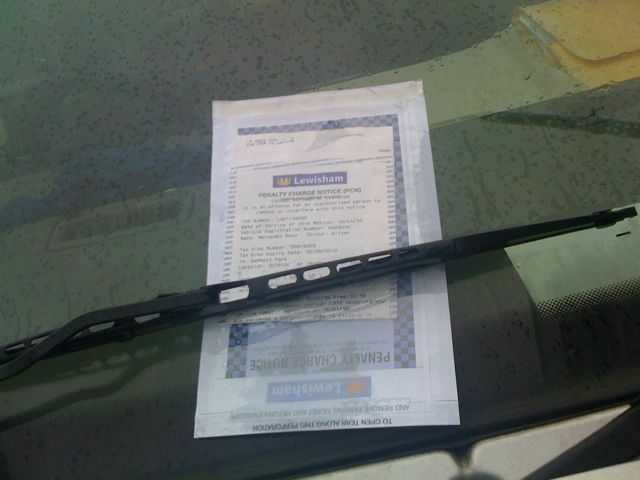 The Society has already written to urge the continuation of the CIZ. However, letters or emails from individual residents may well be more effective than those from organisations, and we hope that Members who are or have been affected by noise and nuisance will make their views known by writing or emailing as soon as possible. A copy of the Newsletter item is attached to this email, with details of the address to which letters or emails should be sent. Any members who would like to discuss the matter before writing should contact Julian Crispin (8852 6338) or Frank Smith (8852 6390). The water mains have shut down again. Go Travel, Lloyds Bank, and Bennett Park are affected. 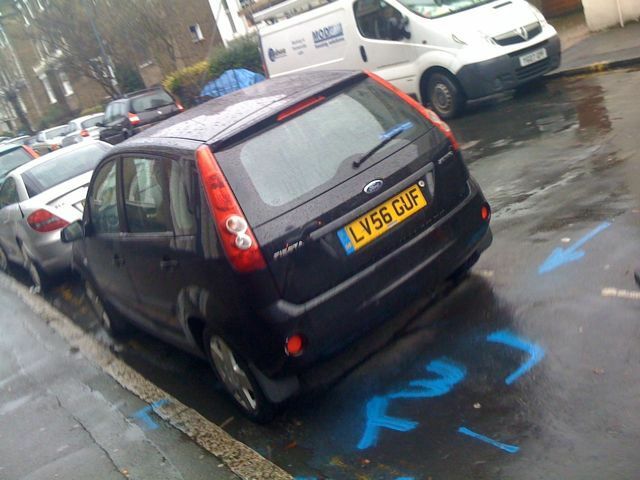 If you own this black Ford Fiesta, the police are going to move it, as the Thames Water man needs to get to a bit of plumbing beneath it. 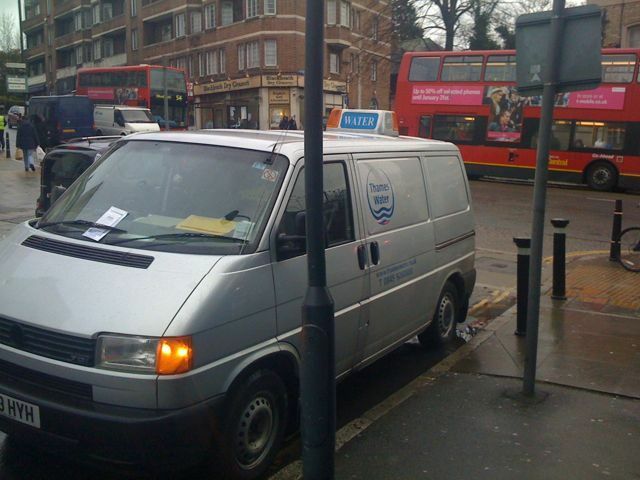 Thanks to your friendly neighbourhood traffic warden, the Thames Water van now has a parking ticket, despite hazard lights blazing! “Only doing my job” was the explanation… “Does that include using your brain?’ apparently was the retort! Quite right too! Please add to the comments below if anywhere else has no water. According to their site, we are entitled to £30 if it lasts for longer than 12 hours! If there is an unplanned interruption, for example when a water main bursts, we will put your water supply back on within 12 hours of knowing about this problem. If a larger “strategic” main bursts, we guarantee to fix it within 48 hours. We can’t give any warning of unplanned interruptions but we will tell you when your supply will be restored as soon as we can. If we do not give you advance notice of planned interruptions, or we fail to restore your supply within the time promised, we will automatically pay our domestic customers £30 and our business customers £50. For each extra 24-hour period that you have no water, we will pay an additional £10 to domestic customers and £25 to business customers.